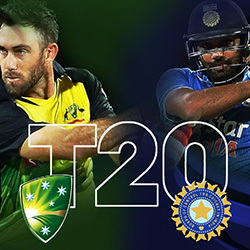 Cricket is Australia’s second-most searched sport online, after AFL, so the thumping that the Baggy Greens handed out to India in the first Test of the 2016-17 Border-Gavaskar Trophy in Pune delighted cricket fans and online punters equally. Unless they support India, of course, in which case their team being bundled out for 105 and 107 runs, handing Australia a 333-run victory, was a disaster. The post-match ICC announcement that the Pune pitch was rated ‘poor’ didn’t help, with some blaming the Maharashtra Cricket Association Stadium for the national side’s embarrassing performance. Stats jockeys were quick to notice that historically, India does not do well in a Test series of four or more matches, if they lose the opening Test. In fact, in 85 years, India has managed a rebound series win only once. That was in 1973, hosting England. India came back from a first-match loss to win the five-Test series 3-1, under captain Farokh Engineer. This bodes well for the Baggy Greens in the next three Tests. Unless India can repeat a 44-year-old record, the Border-Gavaskar Trophy that Steve Smith’s team won in 2014-15 will be coming home with them again. Apart from the excitement of skipper Smith smacking another ton in the second innings, while Australia posted scores of 260 and 285, or Steve O’Keefe ripping through India’s batsmen with two six-fers, the Pune Test saw quite a few firsts; including being the first Test match played at the venue. It was O’Keefe’s first five-wicket haul in Test cricket, even more impressive because he did it twice, taking six wickets in each innings. 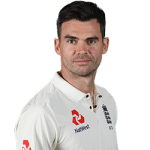 His stats include 5 wickets in 19 balls; the second-fastest achievement of a five-fer after Stuart Broad’s 5 for 16, and a feat O’Keefe shares with Imran Khan and Ernie Toshack. 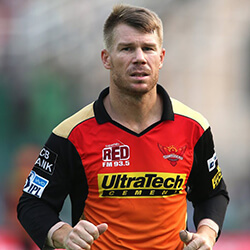 His 12 for 70 is also the best performance by an Australian bowler in India, and the best performance by any visiting spin bowler in India ever. 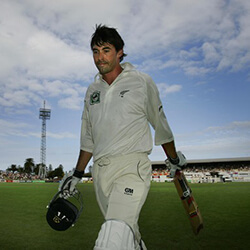 Batsman Mitchell Starc passed the 1,000-run mark in this Test, and the win was Australia’s first in India since 2004, or by any side visiting India since 2012. India wasn’t left out of the records: Ravichandran Ashwin took his 64th wicket in India in one season, overtaking Kapil Dev’s tally of 63 in 1979-80.